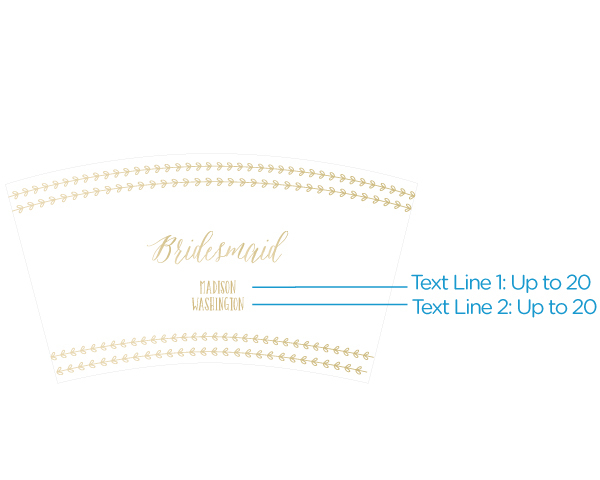 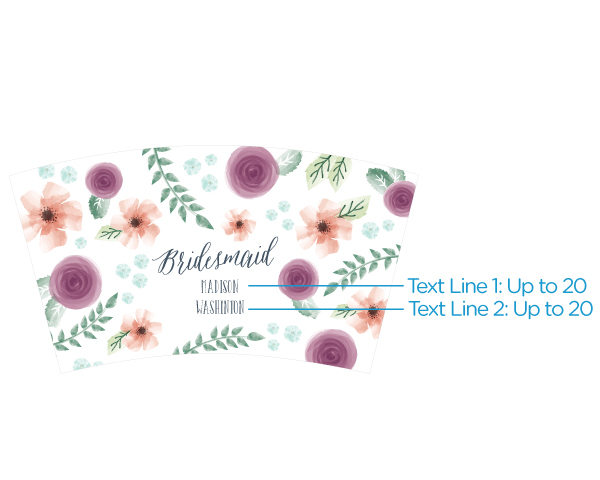 Bring your crew together with our Acrylic Tumbler with Personalized Insert using your choice of five Bridesmaid designs! 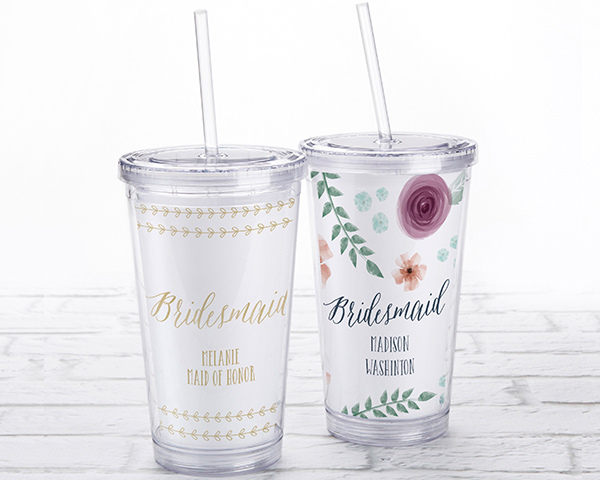 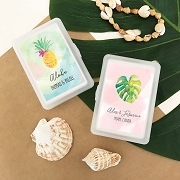 An adorable and useful standalone gift for bridesmaids, or wonderful addition to gift bags or baskets, the double walled tumblers hold personalization in the form of custom designed inserts located between the walls of the cup. 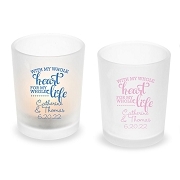 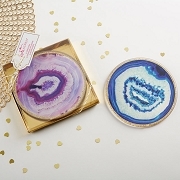 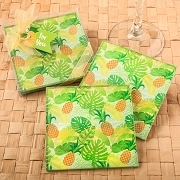 Showing names, dates, locations, or special messages, give your girls a memento they'll always love!